The product of a Russian state-owned arms maker, the simple drone is basically a flying remote control Molot Vepr-12 shotgun. Developed by the Almaz-Antey concern, the so-called Ognestrel’nyy (Firearm) drone turned heads with Russian defense industry bloggers earlier this month when the company filed patents on the design, which looks like an AK47 with wings. While the notion that such a device was more than drawing board speculation was quickly dismissed on both sides of the pond, there is now more official confirmation and video of the drone being flown. 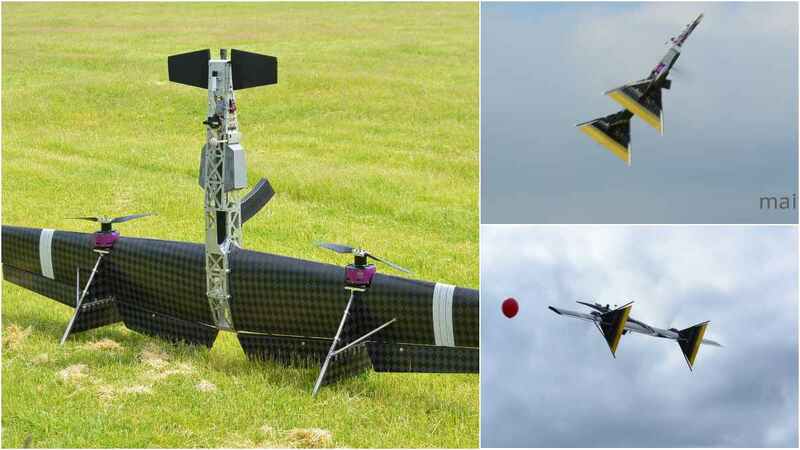 The vertical take-off and landing unmanned aerial vehicle produced by the Moscow Aviation Institute reportedly has a wingspan of about 10-feet, its flight weight is 50-pounds, and it has a flight time of 40 minutes. The payload is a Vepr-12, Molot’s Kalashnikov-inspired semi-automatic 12 gauge. But you really want to see it in action, right? Too bad there is less than a zero chance of these ever getting imported.